A timeless tradition, hardwood flooring is naturally enduring. Representing quality and craftsmanship, natural hardwood can dramatically impact the look and feel of your space. It can even make a small space appear larger. Perhaps best of all: modern technology has availed us the opportunity to produce hardwood flooring for areas where such floors simply weren’t optional. With the proper care and vetting, your hardwood floor can last for multiple generations, while adding value and beauty. Indeed, there’s a whole lot to love about authentic hardwood flooring. However, that doesn’t mean hardwood is the right option for every space. Are you already envisioning a gleaming hardwood floor for your home? Here are some important facts to help you navigate the process. Solid hardwood, which is the original form of hardwood flooring, is simply made from solid plank of various wood species. Beautiful in its strength and simplicity, solid hardwood is also known for its lengthy lifespan. This type of flooring is great for those who enjoy redecorating and revamping, since solid planks can be sanded down and refinished. Engineered hardwood is the next generation of hardwood flooring. While it looks and feels nearly identical to its solid cousin, engineered hardwood is built in layers. Its hardwood top layer is outfitted with a durable coating, with a resilient cork center below the surface- all in all, engineered hardwood is able to handle humidity and moisture a lot better than solid hardwood, making it a great option for spaces below grade. Whether you opt for engineered or solid hardwood, you’ll also need to decide on which wood species coordinate best with your unique style and space. As diverse as the trees in the world’s forests, there are many hardwoods and finishes to ponder- ranging from North American traditions like burnished pine or maple, to lush exotics, like Brazilian mahogany. We offer up all your trusted favorites here – but don’t be surprised if you walk away with some new favorites to ponder! At Parkers Carpet One Floor & Home we’re greater Spartanburg’s most trusted hardwood flooring experts. We can help you discover hardwood flooring that will bring you joy for years to come. 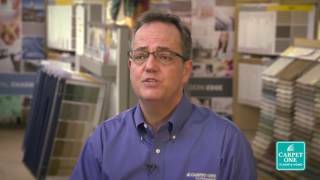 We’re proud to be part of the nation’s largest cooperative of independent flooring stores, giving us the buying power of over a thousand vendors. Visit us at 1483 Asheville Highway soon, and explore our ever expanding inventory of engineered and solid hardwood flooring. Are you stumped for flooring ideas? Might we suggest some of our favorite hardwood looks, provided by our amazing team of interior designers?